I’ve looked around the web a bit and I’m trying to find new control arms, tierod, and ball joints for a 2003 s10. There have been a few suspension kits from summit racing or a1 auto I have found but the do not specify if they are compatible with a zr2 or not. I know the suspension on a zr2 is different from a normal 4x4 but I’m not sure which parts are interchangeable and which ones I would have to get specifically for a zr2. Any help or links to parts would be greatly appreciated! I've gotten all of these parts at Rockauto with the exception of control arms...didn't need them. AFAIK the ZR2 uses the same suspension parts as the regular 4wd except the centerlink which is longer and has the extra hole for the stabilizer. There is also an issue with the lower control arms for one as new as yours. No one seems to make them with the sway bar mount in the correct location. Some of the guys simply found an earlier ZR2 sway bar because the late model location is weak anyway. An improvement GM should not have made. 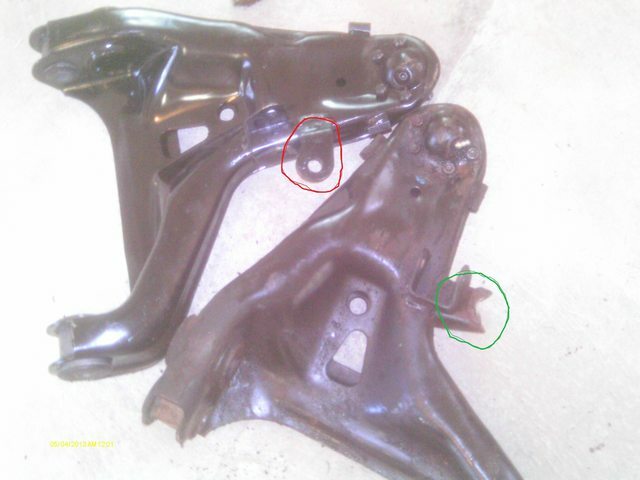 Or the other option is to reuse your control arms and do the extra work of replacing the bushings and ball joints. thank you very much this is exactly what I needed to know!!! We bought hubs, all ball-joints, brake parts etc from our local O'Reilly's and some from Amazon. Never had any issue getting whatever part we needed. 1994 ZR2 S-10 pickup. Built... not bought. Scars to prove it. OK, Rockauto to the rescue. They list Blazer 4wd LCA and Blazer ZR2 LCA separately with pictures of each part. They fit pickups, too. Only issue is they are the R Series which is Moog's low priced line with a 3 year warranty. In the problem solver series, their HD upgraded LCA's, Rockauto only lists the right lower CK620464. I found the number in an email from my son in law who is a district manager for Advance Auto. He contacted his rep at Moog last fall for me. They make the PS line for both sides and Moog provided the numbers. They are more money, but those LCA's have a lifetime warranty including the ball joints. *98 MUSTANG GT Not at all Stock. I ordered a 12 piece kit from A1 Auto online. $85. Labor is $375. My first quote was $3K so I’m pretty happy. Moog wanted $500 for the same kit. It’s an old truck. Just trying to keep it on the road for a few more years. Same pieces...doubt it was the same quality...or lack of. These kits pop up every so often, and the buyers has buyers remorse after installing it...good luck though. Here is the kit - and it's 1A Auto, not A1. Same stuff you’d get at parts stores. Just be sure to keep things grease. Since it doesn’t appear they have zerks use a needle on your grease gun under the boot. I’d install the stuff myself though. It’s not that hard. I’ve always had great luck with Detroit axle. The parts I’ve gotten from them fro many trucks and cars have always had grease zerks. They're local to me and I've dealt with them face to face. Nice parts and a good bunch of people. I've used their stuff on 10 or so vehicles. I know the OP is working on a later model ZR2 but isn't there a difference in CV's also when dealing with early and late ZR2 vehicles? My understanding is that the ZR2 has different CVs than a base 4wd model and there are bolt on CVs for the early Z that are the same length and will interchange for both sides versus the slip in style that has two different lengths. Is this correct? 1998 ZR2 extended cab. Lots mods to go! No greasable parts = short life + no control arm bushings so more money to spend. Buy quality parts that can be greased with synthetic grease and you will be money ahead in the long run. Do it once, and do it right! Like the man said before you get what you pay for!